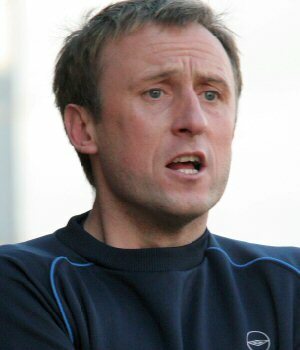 The Harriers manager, Mark Yates, has picked up the manager of the Month award for December after taking the Harriers on a four match unbeaten run in the League through the Christmas period. He shared the award with the Burton Albion manager Nigel Clough after his side chalked up three League wins out of four during the same period. Burton also won their FA Trophy game whereas we could only draw with Vauxhall. Harriers won games against Gravesend, Altrincham, Stafford and Southport as well as drawing with Vauxhall at Aggborough. Burton put together wins against Tamworth, Altrincham and Cambridge Utd but lost at Aldershot. In the Trophy they defeated Gateshead on Tyneside. Mark will be given his magnum of champagne before the home game against York City on January 20th.